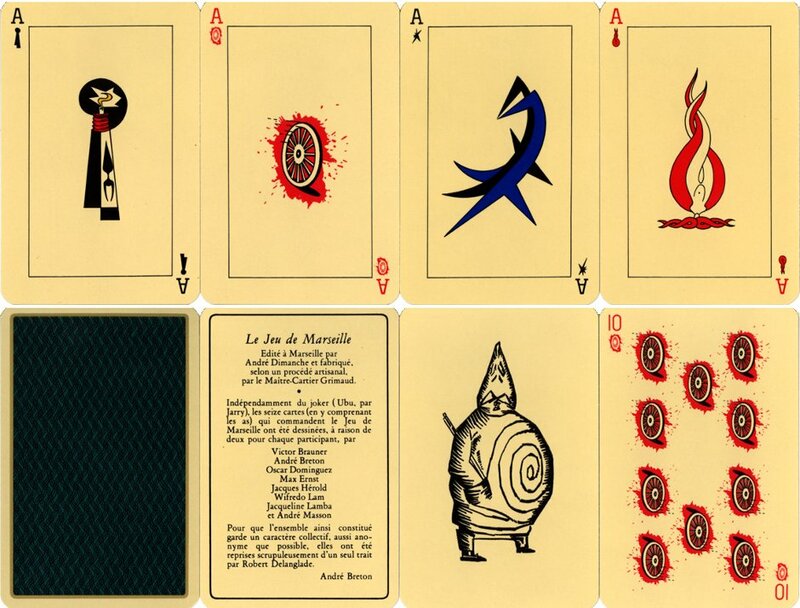 Above: cards from “Le Jeu de Marseille” published by Grimaud, Paris, 1983. 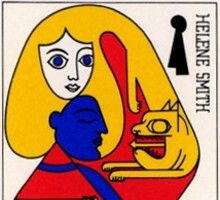 The designs were first published in VVV Magazine (devoted to the dissemination of Surrealism), New York in 1943. Images courtesy Barney Townshend. 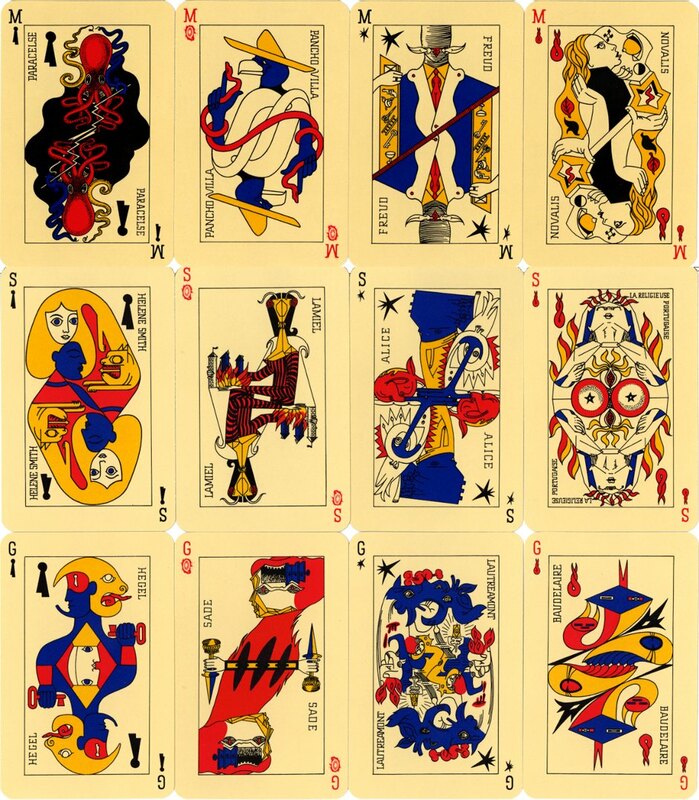 Having deconstructed traditional playing card designs, Breton wanted a thorough reinvention along Surrealist principles. The suits were renamed: Locks (black) for knowledge, Wheels (red) for revolution, Stars (black) for dreams and Flames (red) for love and desire. Surrealist ideas inspired many young artists to move away from conventional views of artistic composition towards abstract expressionism.